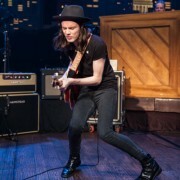 Austin City Limits is pleased to announce a pair of new tapings: British folk-rock sensation James Bay on April 12 and soul singer Andra Day on June 12. 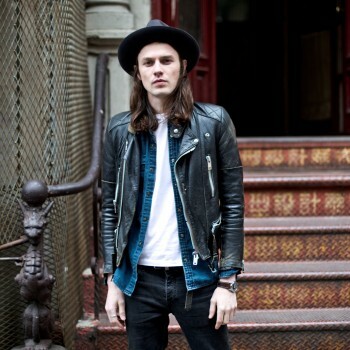 Coming off three 2016 Grammy nominations and a recent BRIT Award win for Best Male Solo Artist, singer-songwriter-guitarist James Bay is busily conquering the States with his debut LP Chaos and the Calm. Recorded in Nashville with producer Jacquire King (Kings of Leon, R.E.M. ), the album went to #1 in the U.K and top 15 in the U.S. and produced the breakout hits “Let It Go” and “Hold Back the River.” The 25-year-old began playing music at age 11, growing up in the London suburb of Hitchin, strumming along to his parents’ Van Morrison and Derek & the Dominos records. At 18, Bay moved to the seaside city of Brighton to study music and hit every open mic night he could. When a fan recorded one of his performances it caught the attention of Republic Records, who signed him in 2013. Since then Bay has gone on to perform at iconic festivals including Glastonbury, Lollapalooza, Sasquatch, Outside Lands, Austin City Limits Festival and more. Internationally, Chaos And The Calm has gone on to become one of the “Biggest New Artist Album Releases of 2015” and has been certified Gold in Australia & Switzerland, double platinum in the UK and has sold one over million albums worldwide. Currently in the midst of a sold-out Stateside headlining tour, Bay makes his Austin City Limits debut on April 12. You can enter our drawing for passes to this taping here. 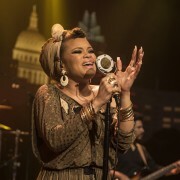 Singer and songwriter Andra Day also turned heads at this year’s Grammys, performing her uplifting song “Rise Up” from her Grammy-nominated debut album Cheers to the Fall. With a vintage flair and a voice for the ages, Day proved she’s ready to take her place in the pantheon of soulful vocalists and deliver her truth to the world. Her acclaimed debut, Cheers to the Fall, produced by heavyweight soul man Raphael Saadiq, is self-described as “a biography told in the form of music,” with themes centered on truth, fearlessness, vulnerability, forgiveness and love. The Boston Globe says, “This confident, stylish pop R&B record ushers in a sophisticated vocalist who faithfully reflects past influences while remaining contemporary and relevant,” and Vibe raves, “The beauty in Andra’s art is that the message applies to all. All we need to do is listen.” Singing in the church choir and studying, dance, theater and music at San Diego’s School of Creative and Performing Arts, Day always knew she wanted to sing professionally. She was performing in local nightclubs when none other than Stevie Wonder discovered her. Day then filmed a series of popular YouTube clips, including a mashup of Lauryn Hill and Amy Winehouse, which caught the attention of Warner Bros. Records and led to a record deal. Known for her standout live performances, Day is currently on a U.S. tour, including upcoming dates with ACL alum Leon Bridges and a performance at this year’s Bonnaroo on deck. 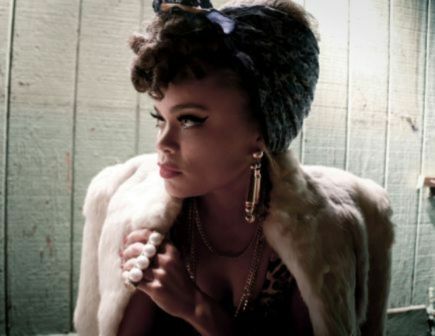 Join us in welcoming Andra Day in her ACL debut on June 12.